Celebrate American Hiking Society’s National Trails Day® in Shenandoah National Park on Saturday, June 3, 2017. In partnership with Shenandoah National Park, the Potomac Appalachian Trail Club (PATC) invites new hikers and experienced backpackers to learn new trail skills at PATC Trail Patrol’s “Beyond the Trailhead” event at Byrd Visitor Center (milepost 51 on Skyline Drive) from 9:30 am to 3:30 pm. Come join guided hikes and hands-on demonstrations throughout the day. 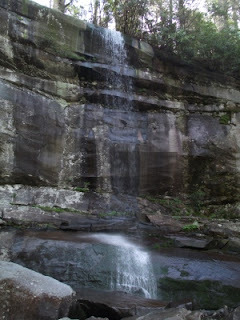 Story of the Forest Trail / Easy / 1.8 miles / 10:00 a.m.
Appalachian Trail Ramble / Easy / 2.0 miles / 10:45 a.m. and 1:30 p.m. Dark Hollow Falls / Moderate / 1.4 miles / 9:45 a.m. and 1:30 p.m.
Rose River-Dark Hollow Falls / Advanced / 4.0 miles / 10:00 a.m.
Rapidan Camp National Historic Landmark / Advanced / 4.0 miles / 9:45 a.m.
Pre-registration is encouraged but you may also register on June 3rd at Byrd Visitor Center. To pre-register, send an email to TPNTD@patc.net by May 31st. Please include your name and which hike you wish to join. 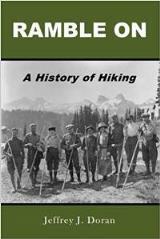 “Beyond the Trailhead” celebrates the American Hiking Society’s National Trails Day®, a nationally recognized trail awareness program that occurs annually on the first Saturday of June. Since 1993, National Trails Day® has inspired thousands of individuals and community groups to take part in activities that promote healthy living and mental well-being, protect green space, educate youth and adults on the importance of trails, and instill excitement for the outdoors. National Trails Day® encourages all Americans to get outside, connect with local outdoor clubs, businesses, community groups, and parks and recreation departments as well as federal land managing agencies to experience, appreciate and celebrate natural places. As the busy summer season approaches, Great Smoky Mountains National Park officials want to remind visitors about precautions they can take while enjoying the park to keep themselves and bears safe. Bears are particularly active this time of year in search for spring foods. Visitors should be prepared in how to safely observe bears without disturbing them during this critical season. Bears should be allowed to forage undisturbed on natural foods and should never be fed. Park officials remind visitors to properly store food and secure garbage. Coolers should always be properly stored in the trunk of a vehicle when not in use. All food waste should be properly disposed to discourage bears from approaching people. Hikers are reminded to take necessary precautions while in bear country including hiking in groups of 2 or more, carrying bear spray, complying with all backcountry closures, properly storing food regulations, and remaining at safe viewing distance from bears at all times. 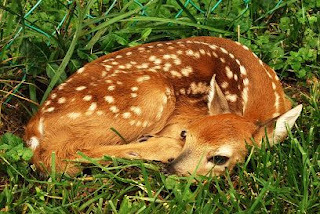 Feeding, touching, disturbing, or willfully approaching wildlife within 50 yards (150 feet), or any distance that disturbs or displaces wildlife, is illegal in the park. If approached by a bear, park officials recommend slowly backing away to put distance between yourself and the animal, creating space for it to pass. If the bear continues to approach, you should not run. Hikers should make themselves look large, stand their ground as a group, and throw rocks or sticks at the bear. If attacked by a black bear, rangers strongly recommend fighting back with any object available and remember that the bear may view you as prey. Though rare, attacks on humans do occur, causing injuries or death. For more information on what to do if you encounter a bear while hiking, please visit the park website at http://www.nps.gov/grsm/naturescience/black-bears.htm. To report a bear incident in the park, please call 865-436-1230. It's almost June, which means that mountain laurel will soon be blooming at the top of Spence Field. The hike to Spence Field out of Cades Cove is probably one of the most underrated hikes in the Smokies, in my opinion. I would go so far as to say that the combination of Spence Field and Rocky Top ranks as number 3 on my list of the Top 10 Hikes in Great Smoky Mountains National Park. In addition to the outstanding views from Rocky Top anytime of the year, the mountain laurel at Spence Field makes this an exceptional hike. The best time to tackle the 5.1-mile trek to Spence is usually right around mid-June when the grassy bald area is exploding with mountain laurel at or near peak bloom. Although Spence Field provides for some outstanding views of the North Carolina side of the Smokies, you should definitely hike another 1.2 miles to Rocky Top for an even better vantage point - possibly the best in the park. Spring has come to Colorado bringing blooms and rain showers, and of course the young wildlife of the year. As birds and mammals give birth, Colorado Parks and Wildlife wants to remind citizens that newborn wildlife may be found in backyards , along trails, or in open spaces. The best course of action is to leave them alone. "Baby mammals are scentless in order to prevent predators from finding them," said Janet George, senior terrestrial biologist for CPW. "When humans touch these animals, they are imparting them with a scent their adults will not recognize or even fear. This can result in true abandonment of healthy offspring." Because birds do not have a highly developed sense of smell, baby birds are a different story. They can be picked up and moved out of harm's way or placed back in the nest if they are songbirds. However, do not try this with raptors! Great-horned owls and other raptors are territorial and have been known to fly at humans seen as a threat to their young. "If twenty four hours go by and the parent does not return, or the young animal appears sick and weak, it is possible the newborn was abandoned or the parent is dead (hit by a car, for example)," said Jenny Campbell, customer service expert with CPW. "Call our office and we will work with our volunteer transport teams to get animals to a certified wildlife rehabilitation center to get aid for the wildlife if possible. Don't move the animal yourself!" In late spring/early summer fireflies begin their mating in the fields of Cades Cove over a two week period. A few days after mating, a female lays her fertilized eggs on or just below the surface of the ground. The eggs hatch three to four weeks later, and the larvae feed until the end of the summer. Fireflies are disappearing around the planet, and a lot of it is blamed on the use of pesticides. In Cades Cove, pesticides are not used, so the fireflies thrive. Just as the Blue Ridge Parkway prepares to welcome visitors for the 2017 season, a new National Park Service report shows that visitors to the Blue Ridge Parkway in 2016 spent $979,334,200 in communities near the park; and that spending supported 15,649 jobs in the region having a cumulative impact to local economies of $1,341,343,100. As many of the Parkway’s campgrounds and visitor centers have opened for the 2017 season this past weekend, the report reinforces the connection between the Parkway and its neighboring communities. While park staff are eager to welcome visitors of all ages to enjoy the rich cultural and outdoor recreation experiences found across the 469-mile route, local communities are also preparing attractions and services for these same visitors. Report authors this year produced an online, interactive tool where users can explore current year visitor spending, jobs, labor income, value added, and output effects by sector for national, state, and local economies. Users can also view year-by-year trend data. The interactive tool and report are available at the NPS Social Science Program webpage: go.nps.gov/vse. The report includes information for visitor spending at individual parks and by state. Great Smoky Mountains National Park officials announced that a 2-year trail rehabilitation project will begin next week on the popular Rainbow Falls Trail. The trail will be closed May 8, 2017 through November 16, 2017 on Monday mornings at 7:00 a.m. through Thursday evenings at 5:30 p.m. weekly. Due to the construction process on the narrow trail, a full closure is necessary for the safety of both the crew and visitors. The trail will be fully open each week on Friday, Saturday, and Sunday and on federal holidays. The parking lot at the Rainbow Falls trailhead area will be closed May 8 through June 15, Monday through Thursday, to facilitate heavy re-construction of the trailhead area where several trails intersect. After June 15, the parking lot will be open so users can access the Old Sugarlands Trail and the Trillium Gap Trail connector trail. Hikers can still reach Mt. Le Conte, LeConte Lodge, and the Le Conte Shelter by using one of the other four open trails to the summit. The Mt. LeConte Lodge and Mt. Le Conte backcountry shelter will remain open and can be accessed from any of these other routes during the Rainbow Falls Trail closure. The recently restored Alum Cave Trail along with Boulevard, Brushy Mountain and Trillium Gap trails are all open and lead to Mt. Le Conte. Trails Forever is a partnership program between Great Smoky Mountains National Park and the Friends of the Smokies. The Friends have donated over $1,000,000 to support the program, in part through the generosity of the Knoxville based Aslan Foundation. The Trails Forever program provides the opportunity for a highly skilled trail crew to focus reconstruction efforts on high use and high priority trails in the park including the recently restored Alum Cave Trail, Chimney Tops Trail, and Forney Ridge Trail. The program also provides a mechanism for volunteers to work alongside the trail crew on these complex trail projects to assist in making lasting improvements to preserve the trails for future generations.